I love our engagement photos. In some of them, Travis has the sweetest smile on his face. In others, I can totally see why Mandi kept telling him to smile bigger. I can’t wait to see us all dolled up and married, moments captured for the record. 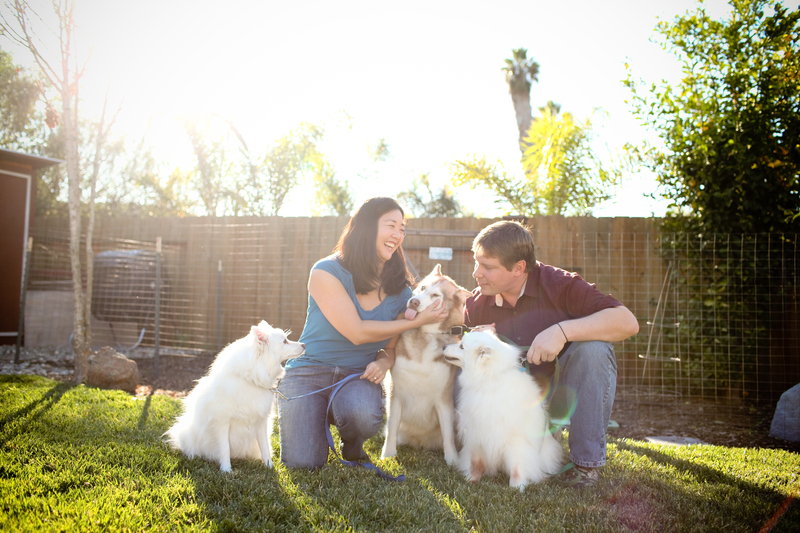 But I absolutely love the photos Mandi took of us and the pups. I think there’s one where everyone’s all looking straight ahead and a dozen where someone was not getting with the program. But we had so much fun and now we have some fun picture of our doggies. ps – I pulled some of my favorites; you can see them here. Such beautiful pictures! Love the one with all of you (dogs included). Our photographer rocks! She’ll take good pictures of all of you, too! Nice! I love outtakes and everyone is so photogenic.